NYC Measles Outbreak Prompts Mayor's Emergency Declaration "We cannot allow this dangerous disease to make a comeback here in New York City. We have to stop it now," Mayor Bill de Blasio said, announcing an order that calls for mandatory vaccinations. More than 285 cases of the measles have been reported in New York since October. Nearly all are associated with people who live in the Williamsburg or Borough Park neighborhoods of Brooklyn. New York City on Tuesday ramped up the battle against the spread of a measles outbreak in a Brooklyn hot spot, declaring a public health emergency and calling for mandatory vaccinations. Mayor Bill de Blasio said the emergency covers four Brooklyn ZIP codes, including most of Williamsburg and Borough Park, which have seen more than 285 cases of the measles since October. "We cannot allow this dangerous disease to make a comeback here in New York City. We have to stop it now," de Blasio said at a news conference. "We have a situation now where children are in danger. We have to take this seriously," he added. The order mandates that all unimmunized children and adults living or working in the area must receive vaccinations unless they can prove a medical exemption applies. Those who do not comply could be guilty of misdemeanor violations and incur fines. Measles is a highly contagious disease and can cause pneumonia, encephalitis (swelling of the brain) and death. 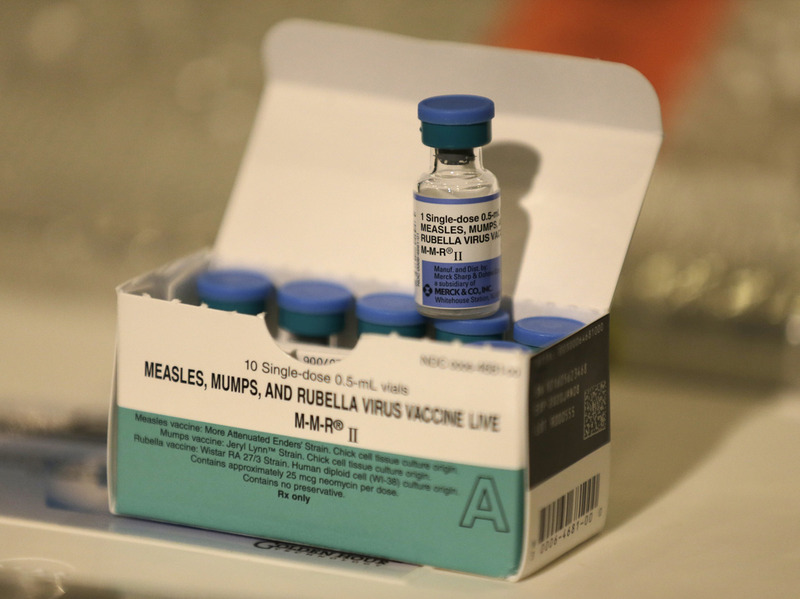 The Centers for Disease Control and Prevention says two doses of measles-mumps-rubella vaccine are about 97 percent effective in preventing the disease. Tuesday's order follows another decree by the city's Health Department, issued a day earlier, that any yeshivas in Williamsburg that continue to defy the mandatory exclusion of all unvaccinated children will immediately be issued a violation and face fines and possible school closures. "This is the epicenter of a measles outbreak that is very, very troubling and must be dealt with immediately," de Blasio said. "The measles vaccine works. It is safe; it is effective; it is time-tested." Mistrust over the safety and alleged side effects of vaccines has played a significant role in outbreaks among wealthier nations around the world, where parents are choosing not to vaccinate their children, often citing popular but debunked misinformation — as opposed to forgoing immunization for lack of access to the vaccine, which is what tends to promote the spread of the disease in poorer countries. Similarly, tightly clustered religious communities, insulated from mainstream society, also tend to suffer higher flare-ups of the highly contagious virus because the group's level of immunity has fallen. In Williamsburg, the immunization rate is particularly low among the Hasidic and Orthodox Jewish communities, causing the virus "to increase at an alarming rate," according to the Health Department. The vast majority of the city's cases are children under 18 years of age. In most cases, the patients were unvaccinated or incompletely vaccinated. While no one has died, a handful have been admitted to intensive care. "This outbreak is being fueled by a small group of anti-vaxxers in these neighborhoods. They have been spreading dangerous misinformation based on fake science," Health Commissioner Oxiris Barbot said in statement. "We stand with the majority of people in this community who have worked hard to protect their children and those at risk. We've seen a large increase in the number of people vaccinated in these neighborhoods, but as Passover approaches, we need to do all we can to ensure more people get the vaccine." Recent steps by the city to try to stem the fast-growing outbreak have been unsuccessful despite efforts taken by the Health Department to stop it, including orders excluding unvaccinated children from attending preschools and day care programs "because a high rate of people living within Williamsburg have not been vaccinated against measles." Health officials in Rockland County, a northern suburb of New York City, last month also banned unvaccinated children from visiting public places for 30 days. The order was temporarily halted by a judge last week. Measles was declared eliminated from the United States in 2000, less than four decades after the vaccination was first made available in 1963. But travelers bring in new cases. The CDC reports measles is still common in many parts of the world, including some countries in Europe, Asia, the Pacific and Africa. Three 2018 outbreaks in New York state and New Jersey, which contributed to most of the cases recorded last year, were all associated with travelers who brought measles back from Israel, where a large outbreak is occurring. According to New York City's Health Department, "five cases, including the initial case of measles, were acquired on a visit to Israel." Two people contracted measles while in the U.K. and one in Ukraine. The CDC says there are currently scattered cases in 19 states, including Washington, Arizona and Texas. The total this year as of last week is 465, the highest count since 2014.